We actually had friends that told us we needed to stop at this place. Funny thing is we had walked past it the week before when we were leaving Accanto. 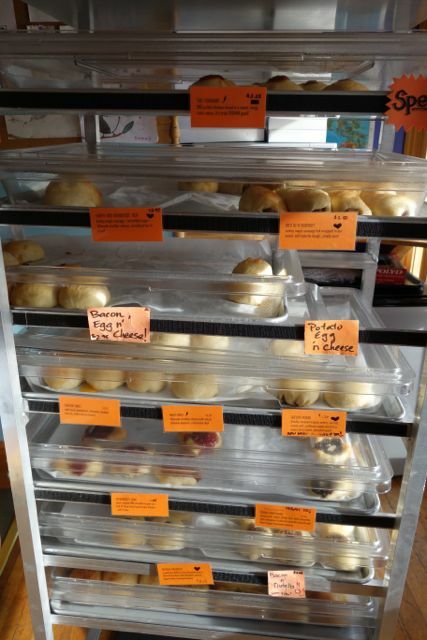 Not knowing what it was, my husband poked his head in and asked what Kolaches were. They are dough stuffed with all kinds of goodies. You have your sweet options like Poppyseed and cinnamon (the way the Czech’s make them) all the way to savory with Ham & Cheese and Smoked Salmon with cream cheese and capers (the way the Texan’s make them). We were intrigued, but full from breakfast. Fast forward a few weeks and the guys were headed to the mountain for snowboarding. I swung by, grabbed a few for their trip and a few for my dinner that night. I pick up the usual suspects that I thought they would like. 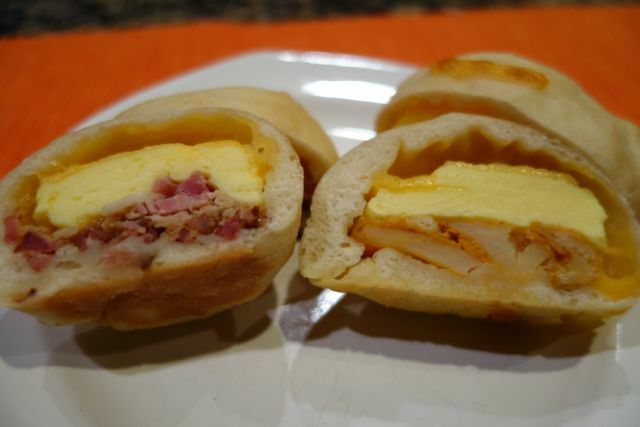 A few ham & cheese, some with eggs, some with jalapeno pepper and some with sausage. There is a microwave at Mt. Hood Meadows that I know they can heat these in. What I should have done is heat a few for the trip up and wrap them to keep them warm…next time. Once heated they really enjoyed these. They tried a few cold and said that they definitely needed to be heated. I kept a few for myself. I warmed them carefully to not get them too hot and I enjoyed this as a great small dinner alone. The dough is soft and semi sweet and fresh, as the roll the dough fresh each day. As a matter of fact while I was there picking them up he was headed back to make more because they were out of a few. This is a great place for Cheap Eats and a quick bite. For more Cheap Eats check out my Pinterest page. Atmosphere is a little shop that is bustling. People know about this place. If they aren’t eating there, they are grabbing them to go. Some had them heated and others were taking them to heat them themselves. Service was great. The owners are very sweet and took time to talk to me and explain everything to me. Pricing was around $2.75 each. You would need more than one for sure and the prices did change depending on the ingredients, but most were around that price I believe. They had Portland Roasting Coffee and Jasmine Pearl Tea. 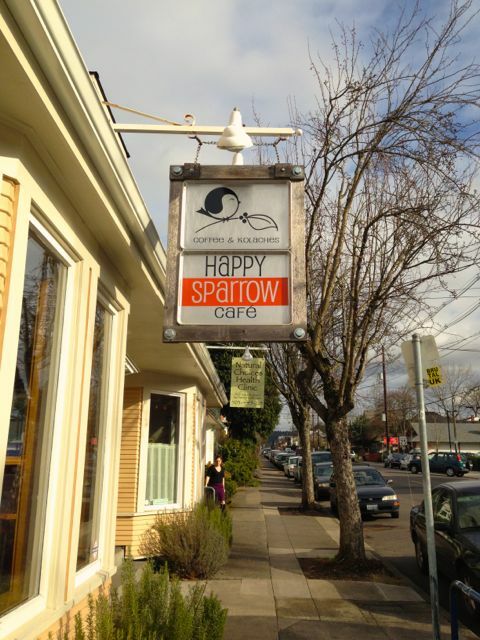 I’ve lived in Portland (or just outside of it) all my life and never heard of this place! We are huge fans of any type of meat filled dough pocket so this is definitely on my list of places to try! Thank you!